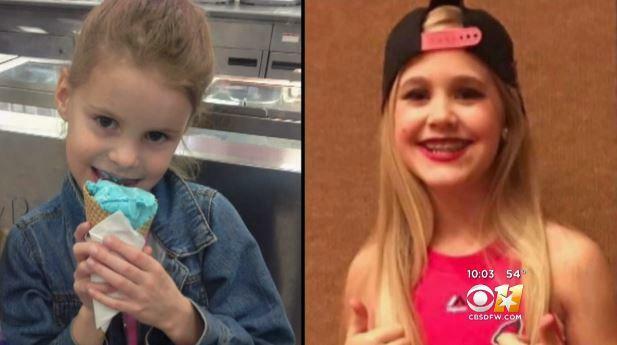 DALLAS – A Dallas-area community is rallying behind two little girls fighting for their lives as a special bond forms between their two families. The two girls, both from Plano, never knew each other before car crashes sent them to Children’s Medical Center in similar conditions. Now their families believe when they finally wake up, they’ll become best of friends, reports CBS Dallas. Among the crowd Sunday night at the prayer vigil at Haggard Park in downtown Plano, it wasn’t always clear who knew 7-year-old Liberty Utley and who knew 12-year-old Jayden Faith Fraser because everyone came for both. “For us it’s awesome. Just to know that all these people are praying for us as well as Jay Fay,” Liberty’s mom Shannon Utley said. Utley’s daughter has had ups and downs since being placed in a medically induced coma, but she credits the support she’s received from her community for keeping her family strong. A few days into Liberty’s stay at the hospital, her parents got to know the Fraser family who experienced a similar rear-end crash that left their daughter also with serious head injuries. “Her mother and I both believe that they were put there together for a higher reason,” Utley said. Friends organized the joint vigil to offer prayers for both girls and both families to double their collective efforts as they hope for speedy recoveries. “To be up here with our friends from Children’s Medical. We got two beautiful girls up there right next to each other, and I see them both every day. I walk past one and pray for the other and then do the vice versa,” Jay Fay’s dad Jason Fraser said. “Please just keep praying for these girls. I think your faith and your prayers are the thing the Lord’s going to listen to, and that’s what we need,” Utley said. Liberty has been at the hospital since November 15. Jay Fay has been there since Thanksgiving. While each girl’s condition remains serious, their families say they’re showing small signs of progress each day.